Terms & Policies — Social Cultural & Co. 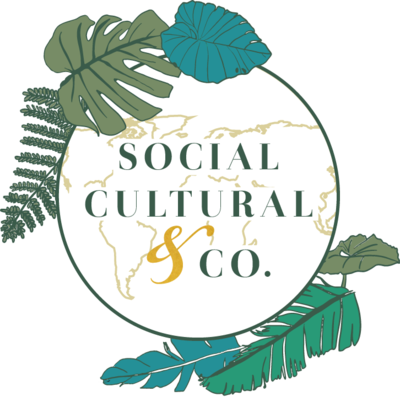 Welcome to Social Cultural & CO L.L.C. These terms and conditions outline the rules and regulations for the use of Social Cultural & CO L.L.C. 's Website. Social Cultural & CO L.L.C. Redistribute content from Social Cultural & CO L.L.C. (unless content is specifically made for redistribution). We may consider and approve in our sole discretion other link requests from the following types of organizations: commonly-known consumer and/or business information sources such as Chambers of Commerce, AmericanAutomobile Association, AARP and Consumers Union; dot.com community sites; associations or other groups representing charities, including charity giving sites, online directory distributors; internet portals; accounting, law and consulting firms whose primary clients are businesses; and educational institutions and trade associations. We will approve link requests from these organizations if we determine that: (a) the link would not reflect unfavorably on us or our accredited businesses (for example, trade associations or other organizations representing inherently suspect types of business, such as work-at-home opportunities, shall not be allowed to link); (b)the organization does not have an unsatisfactory record with us; (c) the benefit to us from the visibility associated with the hyperlink outweighs the absence of ; and (d) where the link is in the context of general resource information or is otherwise consistent with editorial content in a newsletter or similar product furthering the mission of the organization. If you are among the organizations listed in paragraph 2 above and are interested in linking to our website, you must notify us by sending an e-mail to n.gisela@socialcultural.org. context and format of content on the linking party's site. No use of Social Cultural & CO L.L.C.’s logo or other artwork will be allowed for linking absent a trademark license agreement.